The Casoli - voted Which? Magazine 'Best Buy' - is part of Sealy’s Posturepedic Silver Pocket Collection, offering Sealy's high quality support and comfort. 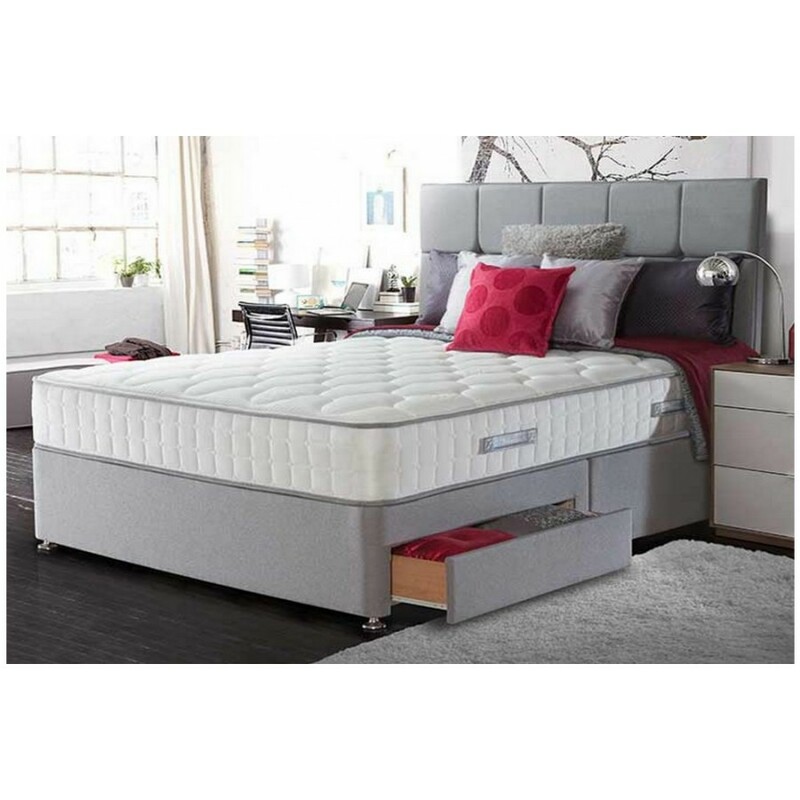 1200 pocket springs and a lavish deep layer of natural innergetic latex (placed on top of the springs) are encased in the patented Unicase border that will protect the springs and prevent the mattress sagging. A Tencel fibre cover, with its anti-microbial and temperature-regulating properties, offers a cooler, fresher night's sleep. The Casoli not only provides outstanding support, comfort and even body weight distribution from its unique 7 zoned spring system, its Posturepedic elements are beneficial for spinal alignment and pressure relief as you rest. Allergy UK have endorsed the hypo-allergenic properties of the Casoli for the reduction of house dust mites. - The Casoli mattress comes with caramel coloured piping. (Colour shown for illustration purposes) This mattress is non turn, just rotate. ***Please Note*** The 2 drawers are positioned 1 on each side, at the bottom sides of base, Pictures are for Illustration purposes only! If you require both drawers on the same side of the base, contact us for details.